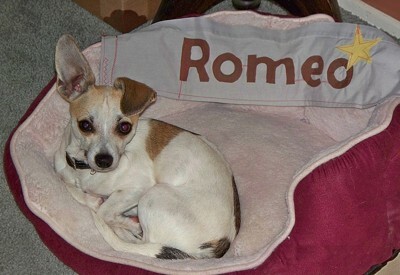 Romeo is a 14 month old Chihuahua. He is a gift who loves his toy and he loves me! He's not the one-eyed bandit, he is the one-eared bandit. How cute is that? LOL!